My favorite sweet and creamy Fall treat! Wrap individually for gift giving. Line a 9-inch square pan with aluminum foil. Spray with nonstick spray. 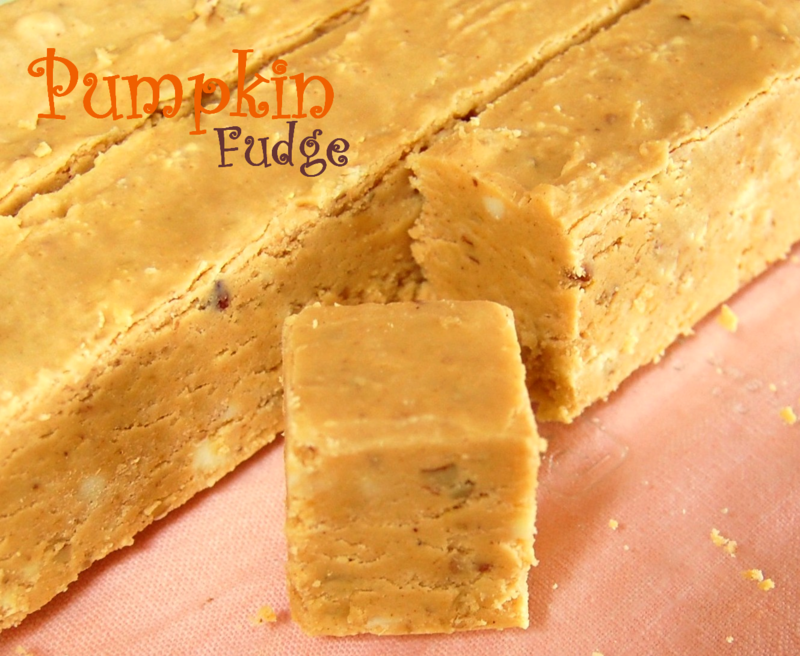 In a 3 1/2-quart saucepan over medium-high heat, stir together sugar, butter, milk, pumpkin and pumpkin pie spice, cook, stirring constantly, until a candy thermometer registers 234° (soft ball stage) or for about 12 minutes. Once mixture reaches 234°, remove from heat and quickly stir in the white chocolate, marshmallow crème, pecans and vanilla until well blended. Pour into the prepared pan. 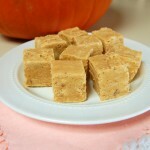 Let stand 2 hours or until completely cool; cut fudge into squares and enjoy!